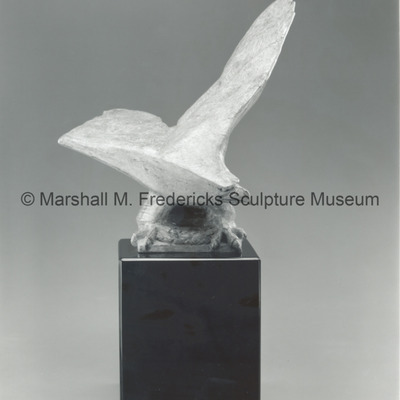 "American Eagle (Ann Arbor War Memorial Eagle)" Small-scale bronze. This sculpture is a small-scale version of the war memorial found at the University of Michigan Stadium. "American Eagle (Ann Arbor War Memorial Eagle)" Clay model. 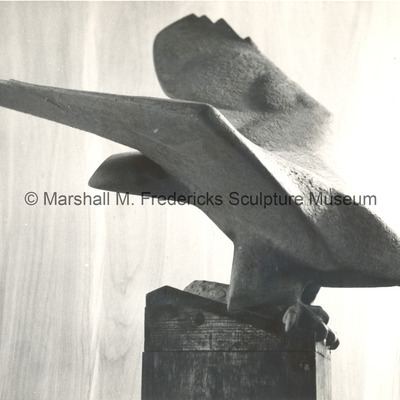 Close-up view of small-scale clay model of Eagle sculpture in Marshall Fredericks' studio. "American Eagle (Ann Arbor War Memorial Eagle)" Close-up view of clay model. 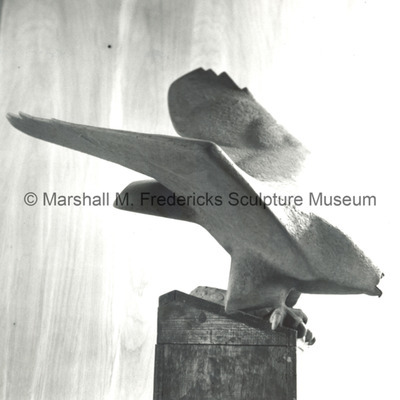 "American Eagle (Ann Arbor War Memorial Eagle)" Clay model on wood base in studio.